Thomson Reuter’s research has revealed some emerging concerns in the Australian legal market, including that 30% of the participants had never reviewed client satisfaction. The study questioned 132 senior fee-earning legal practitioners among medium to large firms across the country with the aim of gaining a better understanding of what law firm “best practice” looks like. And although some of the results were hugely positive, including that second only to Europe, Australian legal professionals considered Down Under as the most competitive legal market in the world; the research also shows there are obvious and significant gaps in certain practice areas. As well as failing to review client satisfaction, a vast number of firms (49%) had no formal training programme in place, while a further 38% admitted that the Australian legal industry suffers from complacency. When asked what was holding them back from achieving true excellence in every business function, the inability to recruit the best staff came top at 44%, followed by lack of time (43%), lack of budget (37%) or a lack of necessary knowledge across the firm (36%). Katherine Sampson, managing director of legal recruitment agency Mahlab, is not surprised by the high number of participants who admit to finding it difficult to recruit the best staff, and says it’s a perennial problem. “Because a lot of the firms didn’t recruit during the GFC – now, six years on, they’re all missing that mid-level lawyer. We’ve found there’s been huge demand for that four to six-year level lawyer,” she told Australasian Lawyer. The statistics also reflect the fact that there are now far more options for lawyers than there used to be, particularly because of such strong growth in the in-house sector. Sampson was surprised that the survey shows almost half of those who participated had no formal training programme in place at their firm. She says it really depends what the definition of formal training is, and at many firms important training comes from “learning on the job” with the guidance of a mentor. The 30% of participants who have never reviewed client satisfaction is certainly worrying, Sampson says, and from her experience it would unfortunately be close to the truth. “That doesn’t surprise me. I think [lawyers] are gradually getting better at asking clients what they want, but they’re not doing any formal surveys. The constant refrain is, ‘they never ask me what I want – they think they know’,” she says. The study also explored what factors professionals used to assess law firm excellence, with quality of work emerging top of the list. Interestingly, ‘profit’ and 'growth' featured outside the top five. 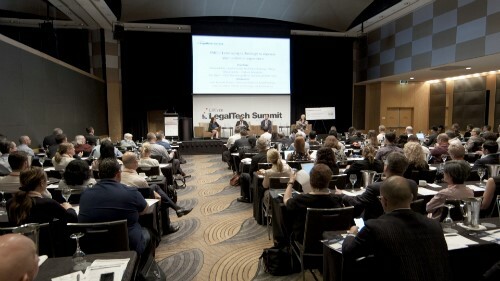 James Boocock, the general manager of legal solutions at Thomson Reuters, says the bullish attitude toward the Australian legal market is certainly encouraging, and “rightly so”. “However, we need to be realistic, and the survey identifies some important issues, particularly around the challenges of finding the right people to take a business forward, and finding the time to do it. Clearly, to be truly competitive, these issues need addressing,” he says.